Susan Dubin-McNeil, EdD, is a Licensed Clinical Psychologist. She provides clinical supervision and training for pre and post-doctoral interns, concurrent with consultation to licensed clinicians working in community mental health settings. Susan paints, sculpts, photographs, and enjoys hiking in the hills of the Golden Gate. Susan is a member of the Spirit Rock sangha and has a well-established personal meditation and yoga practice. 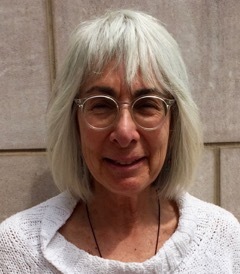 She has been trained to teach MBSR by the Center for Mindfulness, University of Massachusetts, and is grateful that Jon Kabat-Zinn, Saki Santorelli, and Bob Stahl have been her primary teachers.